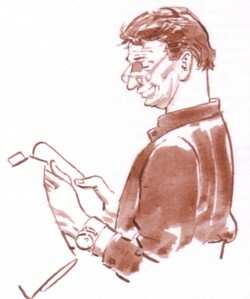 Aloys Oosterwijk makes illustrations of court cases for newspapers. It is not allowed to make photographs of the suspects, and that triggered a long tradition of artists who specialise in making portraits of people in the court rooms. I don’t know the names of the people who did this for Dutch newspapers, but I do remember some of their artwork. 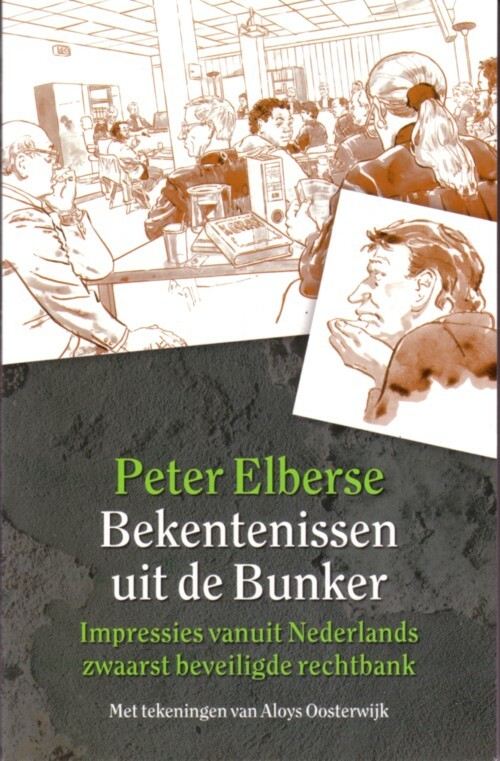 It is a book with observations and insights from a journalist ( Peter Elberse ) who has been working on some of the most heavy cases that the Dutch court had to deal with. This book is not about the cases themselves, but on the atmosphere in the place where the court sessions are held, the personal relation of Peter Elberse with the whole scene, and all kind of little details that never get mentioned in newspaper articles. I read the book with more pleasure than I expected. I was afraid that the criminals that are depicted in the book would be made into heroes. That is happening in our culture and I don’t like it a bit. In the daily newspaper that I read, I often detect that journalists cannot separate their DVD collection from the real situations that they report about, and I think this is a very deep problem. But Peter Elberse is very clear about the people and the situations with which he is deeply involved. Of course, he is fascinated by criminals, crimes and court cases, but he is never crossing the thin line that separates a healthy mind from a sick one. 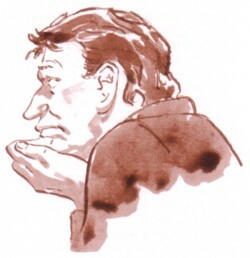 The illustrations that Aloys did are fascinating. I choose only three examples, and all of the same person. Buy the book!